Not even a half marathon, but can you run 10k? 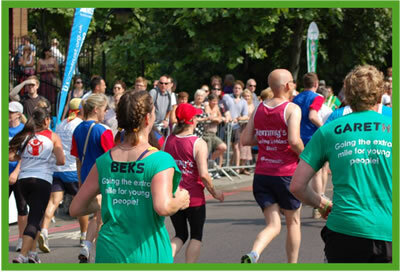 Get 2014 off to a great start by booking your place in the British 10k race and helping St Christopher’s Fellowship support vulnerable children and young people across England. Each day, countless children suffer neglect, abuse and mistreatment and feel as though they have nowhere to go and nobody to turn to. St Christopher’s Fellowship, based on Putney High Street, runs children’s homes, foster care services and supported accommodation for those aged over 16 to give vulnerable children and young people a safe bed to sleep in and a secure place to grow up. St Christopher’s is looking for keen runners to raise vital funds for its work by taking on the challenge of the British 10k race this July. The British 10k is a perfect distance to run whether you are an experienced runner or a complete beginner. The exciting route takes runners through the centre of the city past landmarks such as St Paul’s cathedral, the London Eye, the Houses of Parliament and across Westminster Bridge to the finish. Runners in the team will receive a free place in the race, a St Christopher’s running top, chip timing, an official race photo and support with fundraising from the St Christopher’s team. The fundraising target is £250 which will go directly to St Christopher’s work with vulnerable children and young people across London. Could you make a huge difference in the lives of some of England’s most vulnerable children this year? Reserve your place in the St Christopher’s 10k team by getting in touch with Jenny at jennifernewbold@stchris.org.uk or on 0208 780 7845.